The question is not whether you need a web presence. The question is what kind of presence. We’ve got a good track record when it comes to keeping our clients in digital shape. See what we mean. We’ve done dynamic, back-end driven, data laden websites. 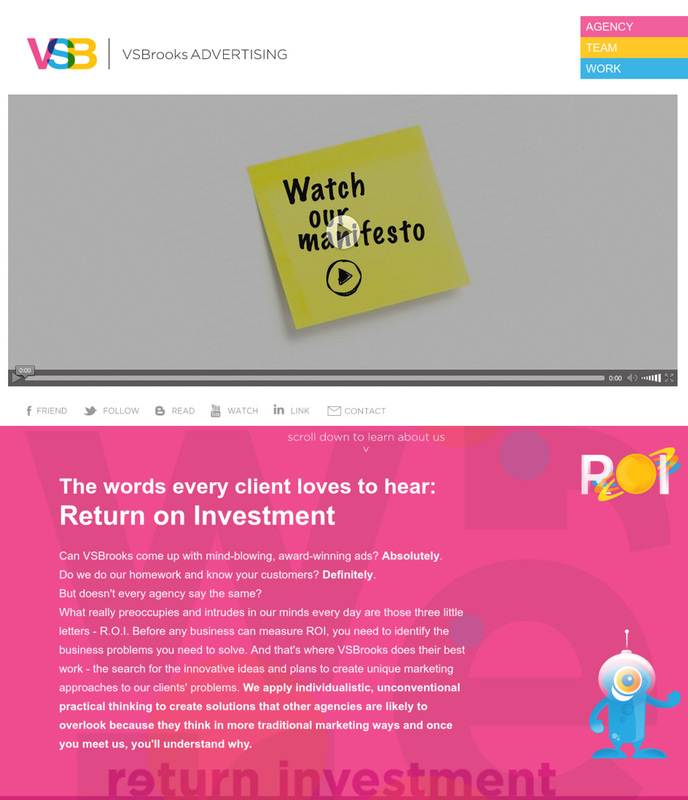 We’ve also done sleek, clean minimalist sites with amazing web presence. Point is, we can build the kind of site – and functionality – you need to get the kind of user-friendly result you want. 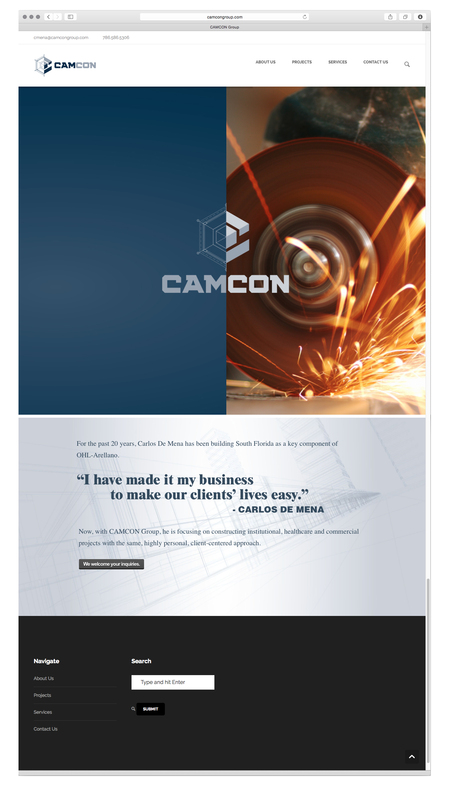 As part of the company launch, CAMCON Group needed a digital hub where prospective Clients could easily learn about the company’s services and see a portfolio of past projects. By customizing a clean, responsive WordPress site we were able to build an efficient website from the ground up and establish a digital foundation for this solid construction company. And just like CAMCON does for its Clients, we delivered on time and on budget! How do you bring a classically lined, Boston-bred boat like the ones made by MJM Yachts to a South Florida market? Build a website that’s as sleek and streamlined as the boat itself, and plays off the boat’s accolades behind clear, clean design. The solution? A website, equipped with a fully-produced corporate video, that paid homage to the company’s history while looking ahead to the future by incorporating their latest product offerings and creating synergy with their newly launched social media platforms. 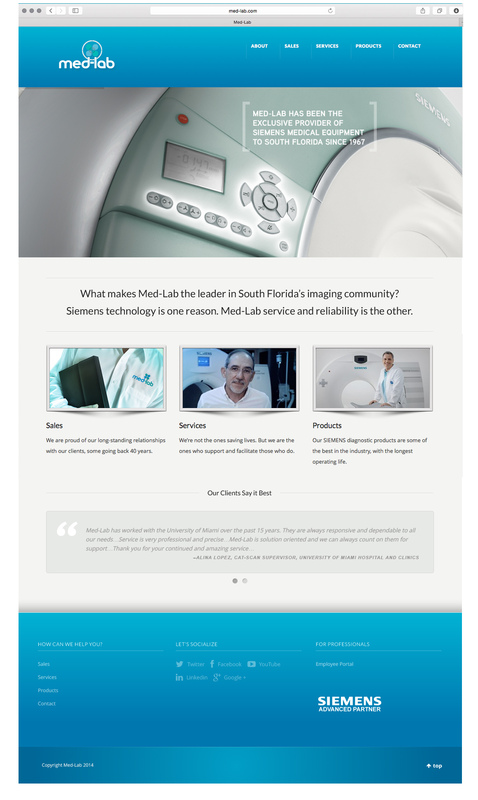 All this to continue Med-Lab’s proud tradition of engaging the South Florida healthcare community face-to-face and now online! We put our heart into our sister company’s website design to capture VSBrooks’ creative, slightly quirky and colorfully fun culture. That’s probably why the website got us a Regional Gold Addy from the American Advertising Federation. Mena Travel Advisors has been a brick and mortar business for over 50 years with a very loyal core client base. They came to us with the hope of expanding their existing client base as well as taking their business into digital space. We initiated a full website rebuild and the launch of their social media presence with spectacular results. The work done for Internos won a Gold Addy for the logo and stationery design; and two Hermes Creative awards, one for Overall Web Design in the Business to Consumer category, and one for Responsiveness of the Website, under the Mobile Site category. And plenty of results for the client as well. This clothing brand’s website includes an e-commerce site, built to sell their lifestyle clothing gear as well as promote the brand’s culture. Carrollton’s website required a complete navigational restructure and redesign to include a parents’ portal as well as a fully structured content management system for each department within the school to create content on the site. The colors used on the website reflect the historical color palette of the buildings around campus. 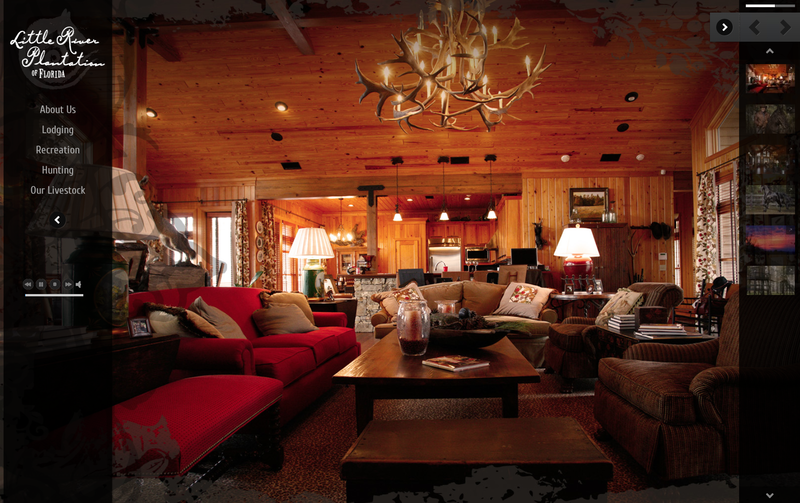 Little River Plantation of Florida’s website showcases a luxury private Horse Ranch and Cattle Farm. 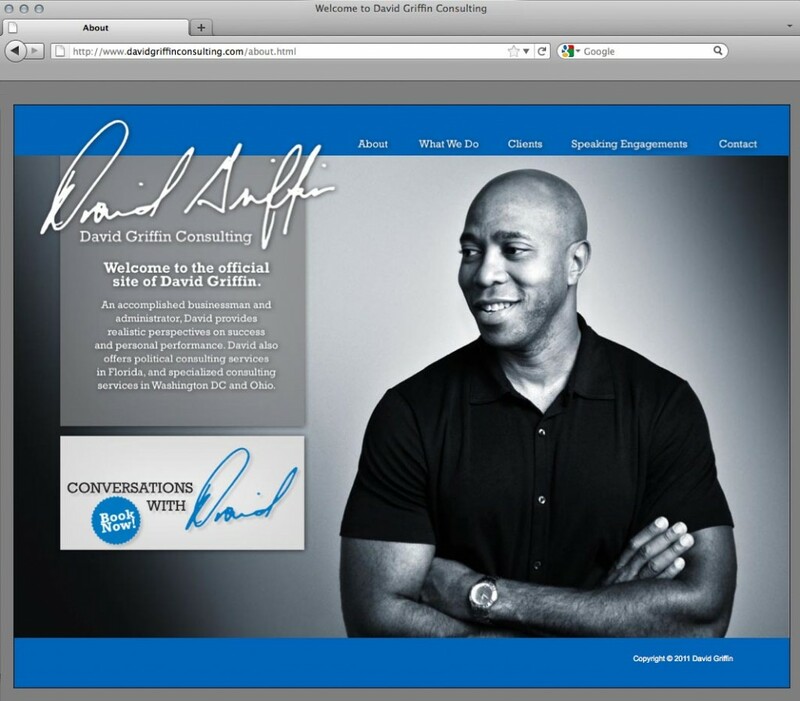 David Griffin’s consulting website was built to highlight his motivational speaking prowess. We were tasked to help thwart Miami-Dade County’s plans to construct a massive 62,000-sq.-ft. boat warehouse in pristine Matheson Hammock. 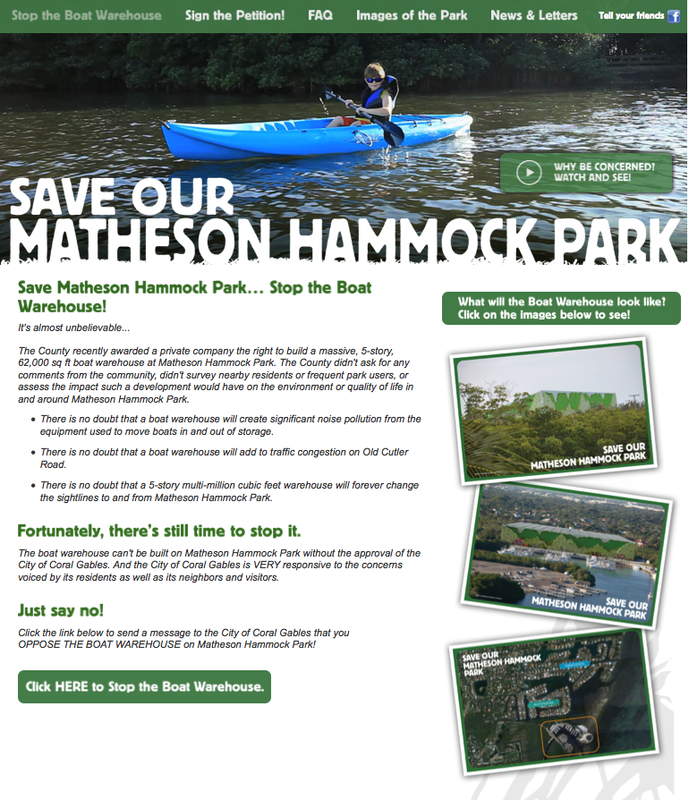 The website is designed to promote awareness of the cause as well as to gather signatures against the proposed boat warehouse. Let’s just say we got results. 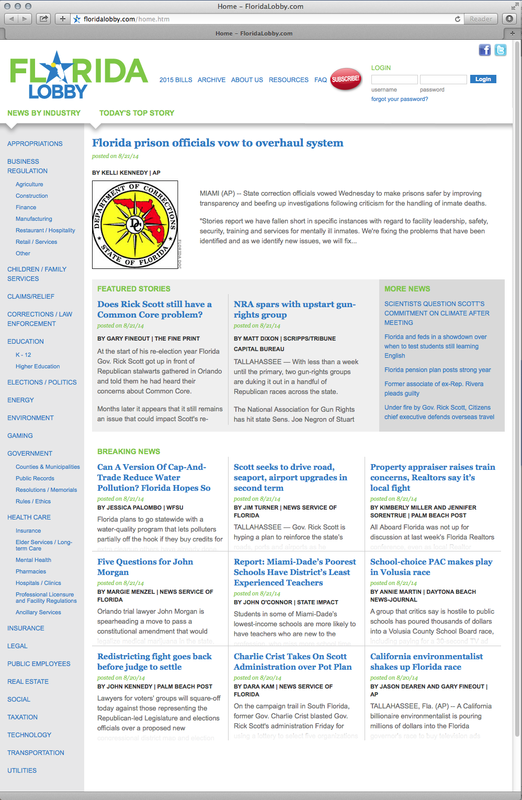 This web portal’s purpose is to aggregate relevant Florida legislative information and make it easy to find based on industry and categories. 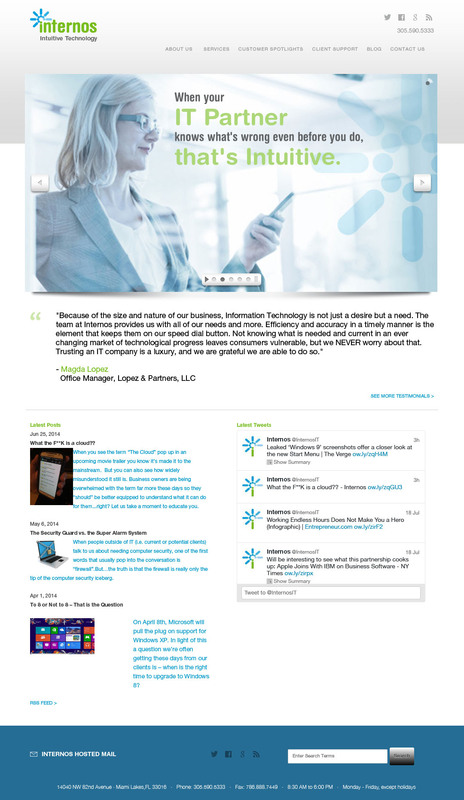 A clean UX design and robust, client-friendly content management system were paramount in its development. 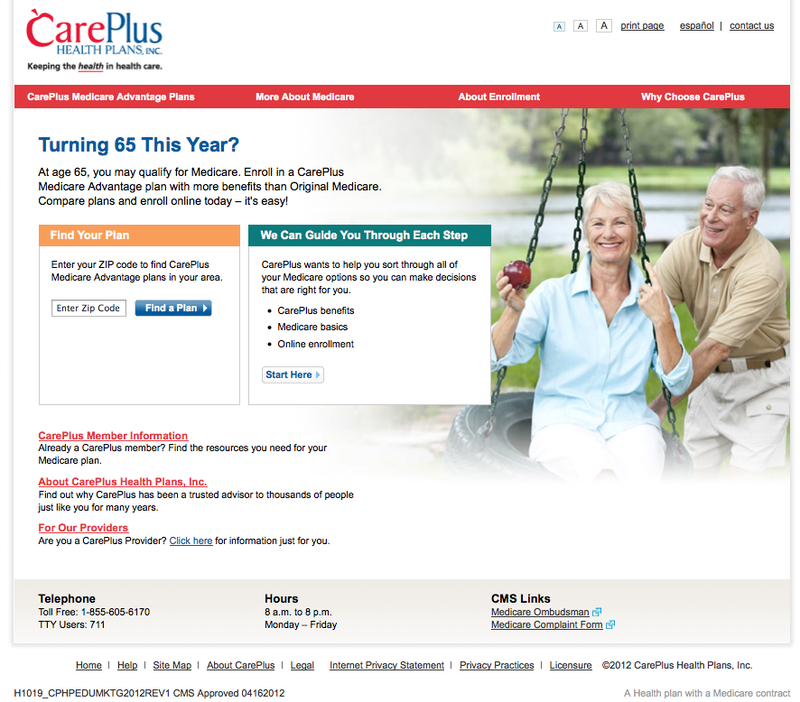 Created to be user friendly with an easy flow and wireframe, Careplus’s website design aligns it with its brand standards. 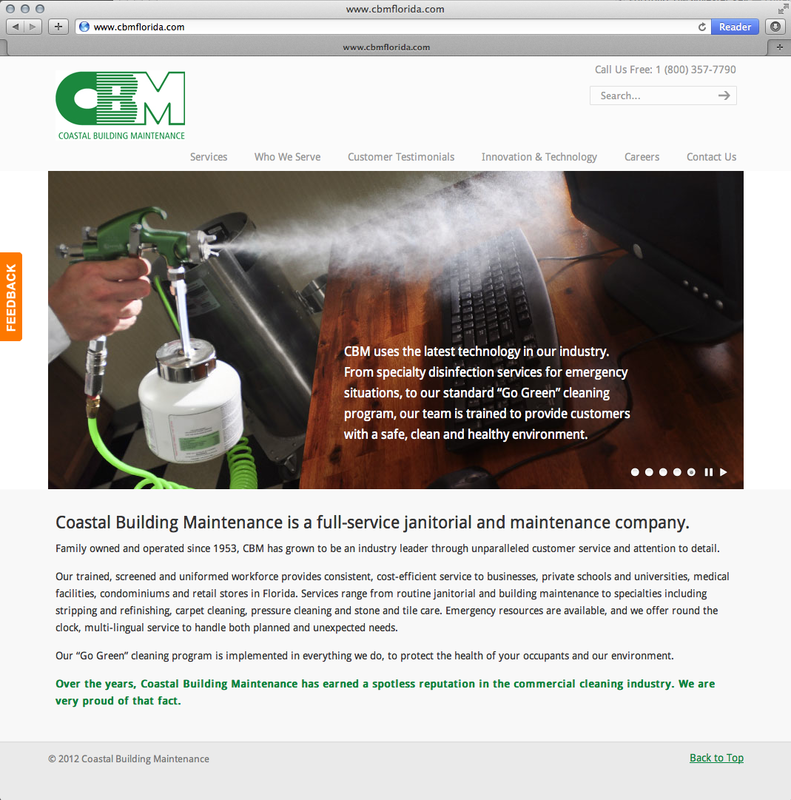 Coastal Building Maintenance’s website was created to showcase the company’s tech approach to cleaning services and products.